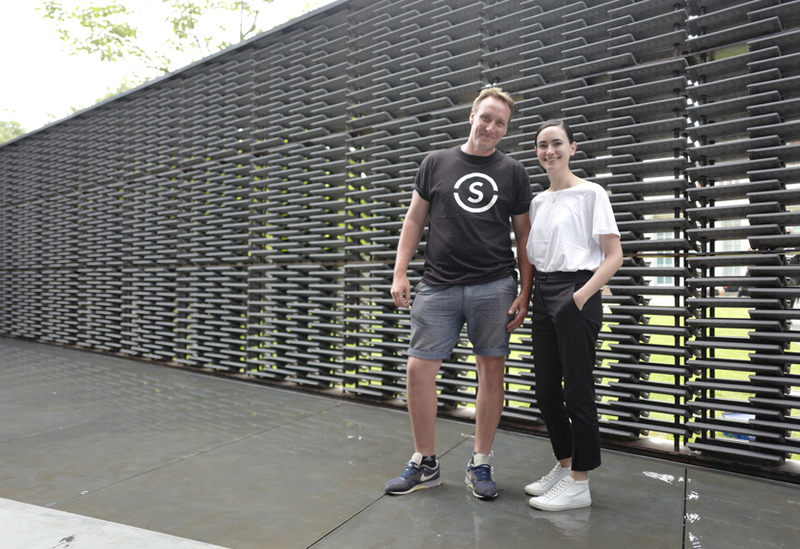 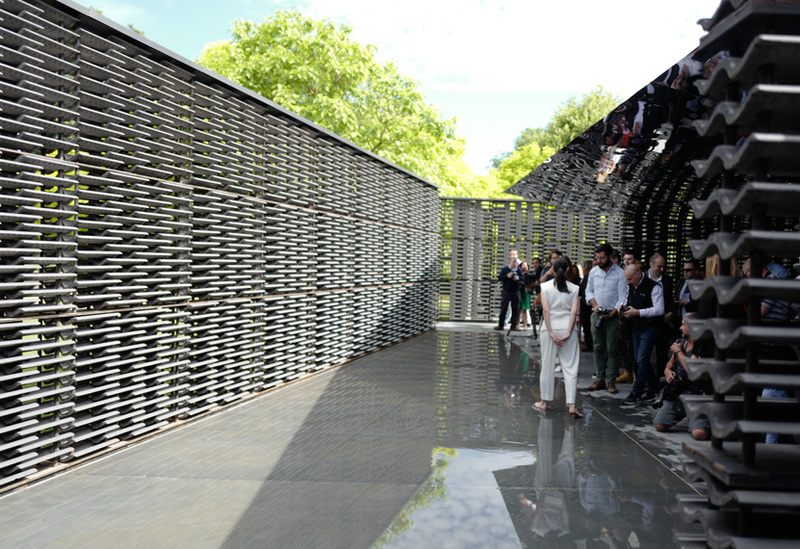 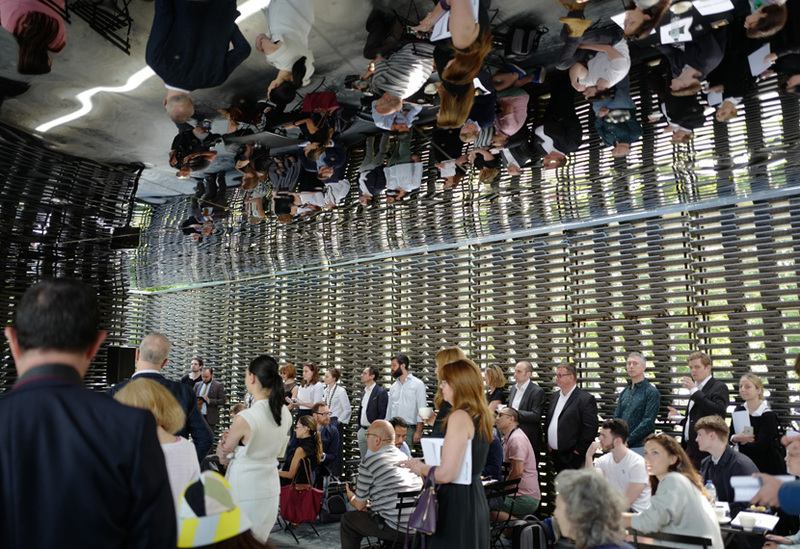 Frida Escobedo’s Serpentine Pavilion has been unveiled to the world’s press this morning. 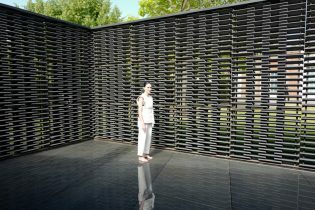 The Mexican architect has created a secluded courtyard complete with a reflective curved ceiling and shallow pool. 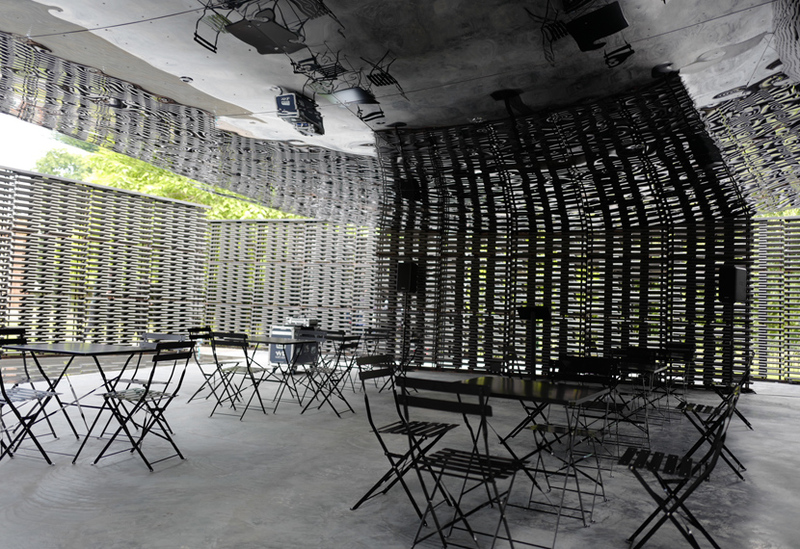 Escobedo drew inspiration from the domestic courtyards common in traditional Mexican homes and has used a simple palette of materials. 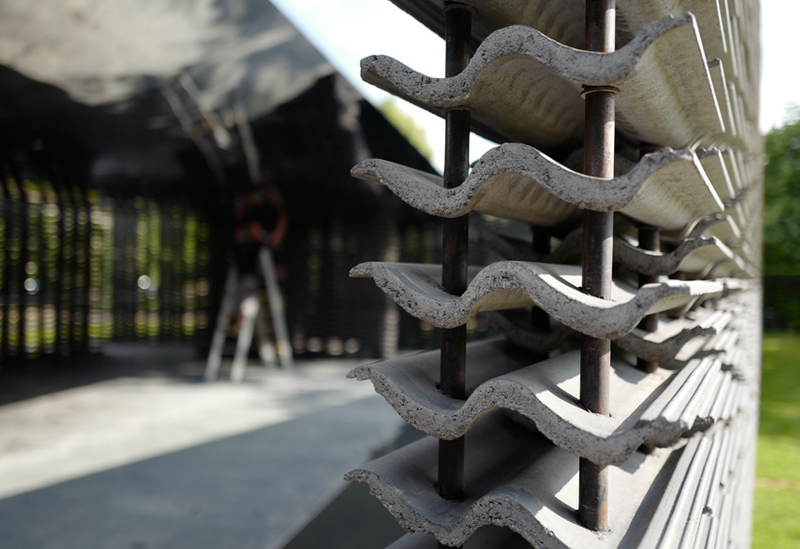 Our team created the lattice-effect walls from eight thousand individual roofing tiles that allow light and breeze to percolate and offer glimpses of the park. 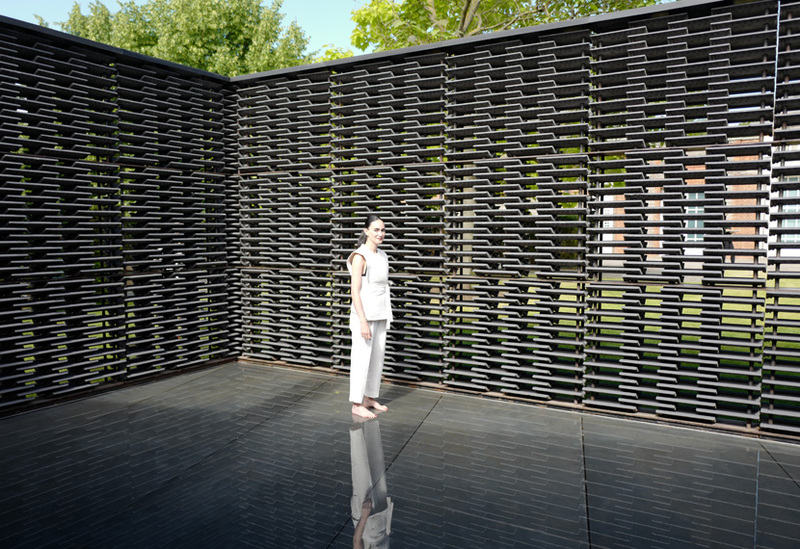 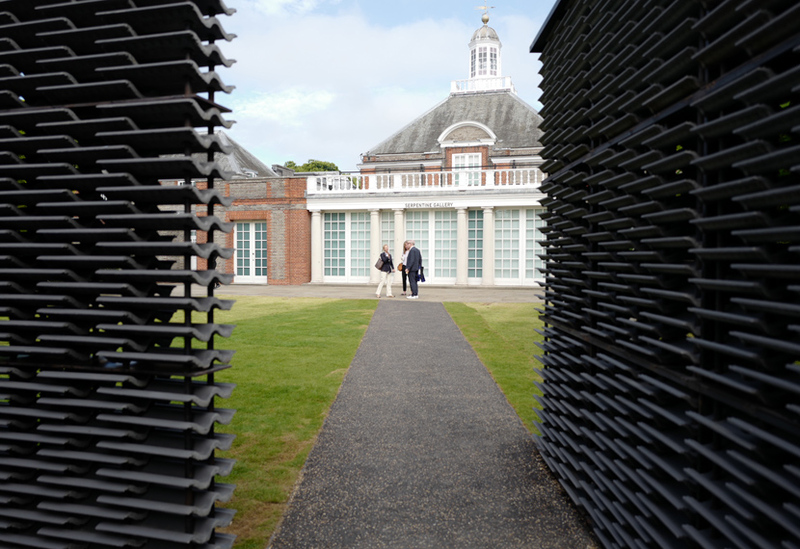 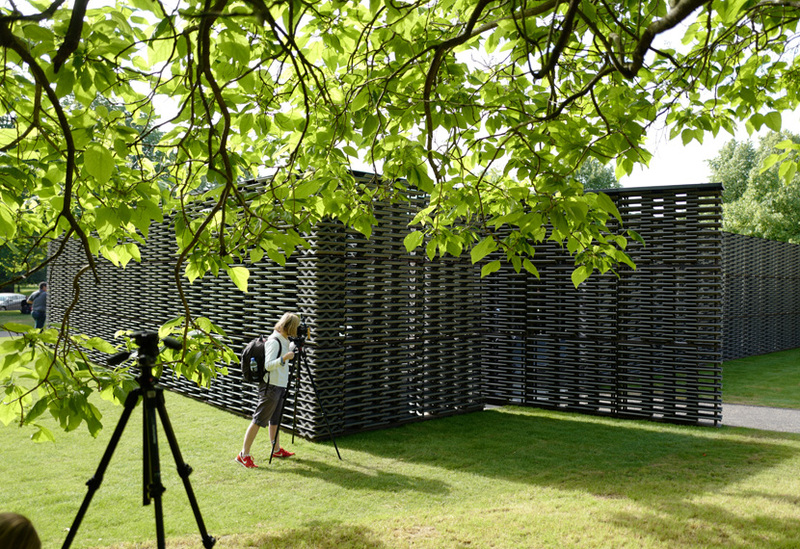 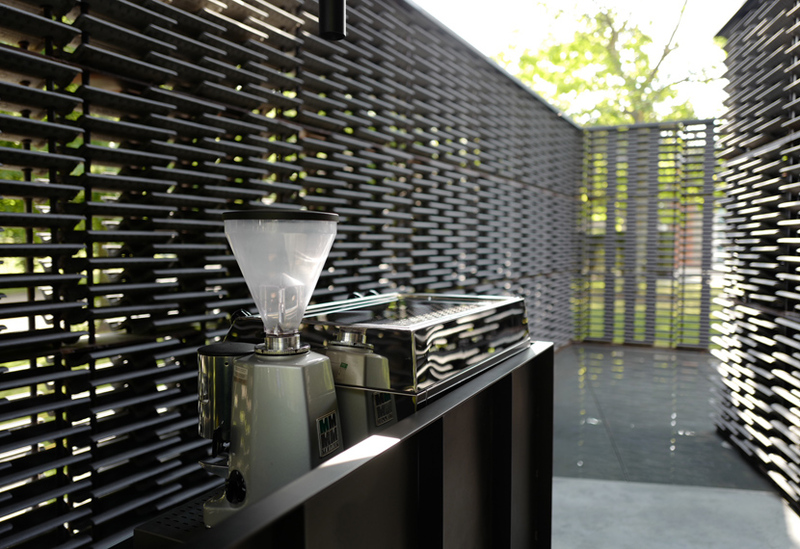 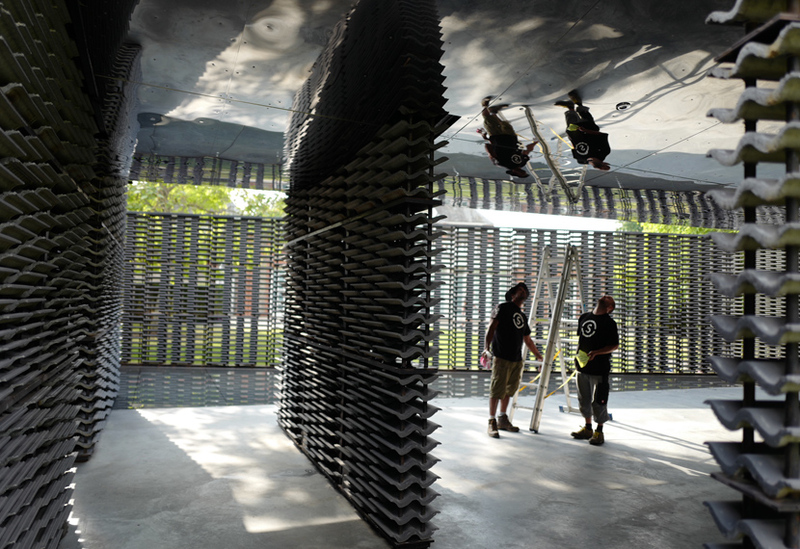 This is the tenth pavilion we’ve manufactured and installed for the Serpentine Gallery. 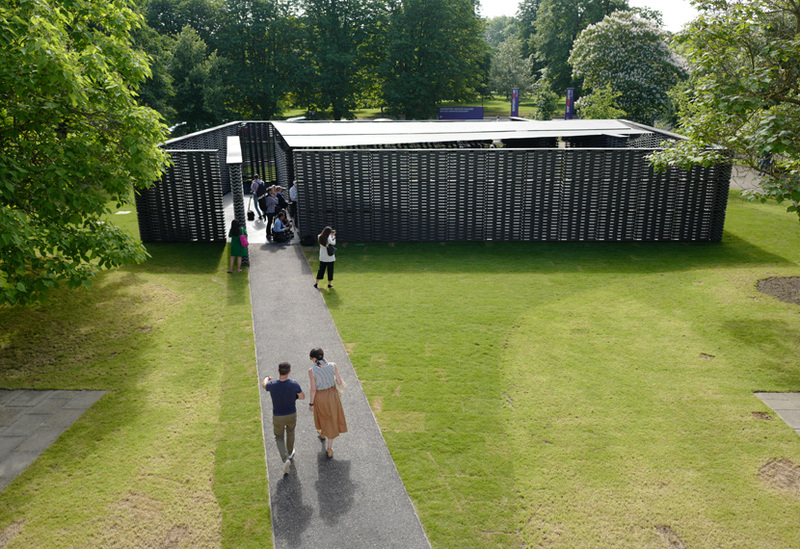 We are immensely proud of our work on these commissions and of the tenacity and skill of our workshop teams, CAD team and site crew in delivering each of the diverse structures since 2009.